Reliably Bringing a Flow of Enquiries and Paying Clients Into Your Coaching or Expert Business - With or Without Paid Ads! Are you doing any or all of...? Uploading and posting videos on your Facebook page (whether they are your livestreams or pre-recorded)? Sending people to your website and/or landing pages from anywhere - online or offline? Posting or commenting in Facebook - on your personal profile, in groups, and/or your business page? 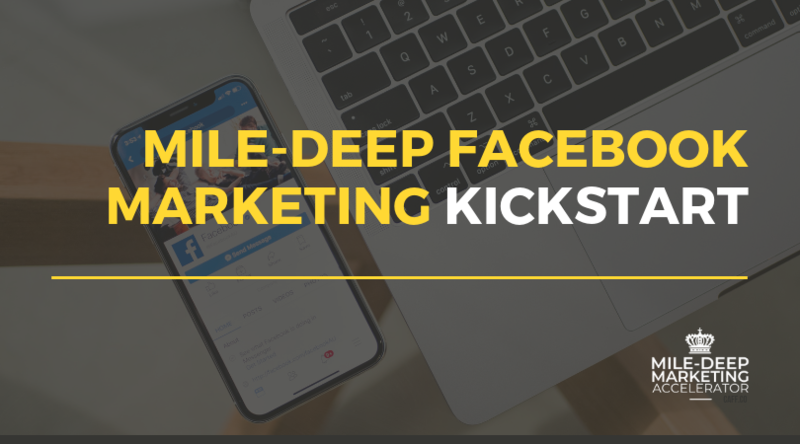 ... and wish you knew how to increase your Facebook visibility so you can build a highly-engaged audience, create trust and connection with your community, and convert more paying clients? Apply the simple steps you MUST have in place to turn Facebook comments into conversations, and conversations into conversions! Spend your time on Facebook in the way that has the most impact - bringing you a steady of flow of inquiries, subscribers and paying clients. Turn Your Facebook Interactions into Actions - Inquiries, Subscribers, and Paying Clients! Make the Right First Impression: How to turn your Facebook account into an interactive business card, that attracts your ideal clients into your audience. Turn Comments into Conversions: Create a 'breadcrumb trail' that flows seamlessly from every interaction, towards a call to action - and makes it super easy, and a no-brainer for them to take that action. Uncover the hidden magic inside Facebook: Make maximum use of all the 'hidden features' inside Facebook to attract a consistent flow of new ideal clients into your audience. Avoid the mistakes that automatically get your Facebook post reach penalised: How visible you are on Facebook is NOT only at the mercy of the algorithm! How you compose your posts on Facebook impacts how many of your audience will see your content in their newsfeed. Curate your PERFECT Facebook newsfeed: Did you know, you have 80% control over what you see in your Facebook newsfeed, so I'll guide you through a simple process for seeing more of what YOU CHOOSE to see in your newsfeed. Get more video viewers: Plus step by step I show you how to find out how many of your audience are scrolling past your video content and what you can must do to fix that visibility leak!. Track specific actions your audience take, so you can micro-target your Facebook advertising to the most relevant audience who have already indicated that they are interested you and/or what you are promoting, and therefore will be most likely to buy or subscribe. Build an audience of members of a specific Facebook group – even though you cannot do this natively inside ads manager yet, enabling you to put your ads in front of group members who already know, like and trust you WITHOUT breaching the group's 'no-promo' rule or getting your group post lost in the noise! Boost your Facebook page posts to the segment of the "people who like your page" that engage with your page posts - so you can stop wasting money showing ads to your disengaged followers who have liked your page at some time in the past, but couldn't give a flying wotsit about you now. Get instant access to the entire program now so you can work through the sessions in your own time and at your own pace. Watch over my shoulder as I demonstrate how to implement each step clearly - so you can implement what I'm teaching inside your own website and Facebook account with ease. Who is the Mile-Deep Facebook Marketing Kick-Start Program for..? It's for you if you have a website that you (or your tech expert) can edit, and/or a Facebook account - regardless of whether you have a business page or any short-term plans to pay for Facebook ads! Ensure you have the basics in place so Facebook interactions with your ideal clients can convert into an action - connection request, opt-in to your email list, enquiry in your inbox, or sale of your online program, etc.